The Saradha Scam and the shocking details behind it. Mamata Banerjee needs to answer many questions. A drama of the highest order broke out on Sunday night in Kolkata when the CBI team arrived at the residence of purportedly 'missing' Kolkata Police Commissioner Rajeev Kumar in the Saradha Ponzi scam. Intense developments have since taken place in the CBI versus Kolkata police stand-off when Mamata Banerjee chose to defend the cop in question. In an unprecedented move, she has been sitting on a dharna since Sunday night, having also been joined there by Rajeev Kumar, the cop in question. There is a need to revisit some details about the SARADHA CHEAT FUND SCAM to know how Trinamool Congress led by Mamata Banerjee compromised the investigation to protect the frauds. Saradha Group, a consortium of over 200 private companies, collected around Rupees 20,000 Crores from over 2 million depositors. According to media reports, around 210 agents, depositors and executives or directors of various money pooling companies have committed suicide in the aftermath of the scheme's collapse. The scam got unraveled with less inflow and higher outflow. The entire south Bengal looked like it was hit by a cyclone. Every home had a bankrupt depositor or a fugitive agent. Happy households became miserable. In March 2013, Central Corporate Affairs Minister, Sachin Pilot said in the Lok Sabha that his ministry has received complaints against West Bengal's Saradha Group and many other companies for their involvement in Ponzi schemes. On 17 April 2013, around 600 collection agents claiming to be associated with the Group assembled at the headquarters of TMC and demanded government intervention. On 18 April, an arrest warrant for Sudipto Sen was issued. Sudipto Sen was the chairman and managing director of the Saradha Group. In his youth, he was known as Shankaraditya Sen and was part of the Naxalite movement in West Bengal, who later changed his identity by having plastic surgery and became part of the land development projects in South Kolkata. Sudipto Sen wrote an 18-page confessional letter to the CBI, in which he admitted that he had paid large sums of money to several politicians and fled after posting this letter. But he and his two aides, Debjani Mukherjee and Arvind Chauhan were arrested from Kashmir on 23rd April 2013. 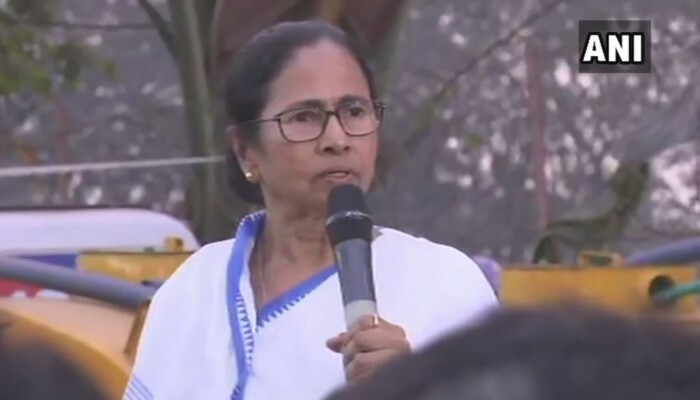 Mamata Banerjee announced that a four-member judicial inquiry commission headed by Shyamlal Kumar Sen, retired Chief Justice of the Allahabad High Court, would probe the scam. The West Bengal government also set up a Special Investigation Team SIT). On 25 April, responding to the PIL, a division bench of Calcutta High Court comprising Chief Justice Arun Kumar Mishra and Justice Joymalya Bagchi said that because the ramifications of the scam included other states, a central agency would do justice to the investigation. Before the SC, the West Bengal Government stated that the investigation into the scam was being successfully conducted by the SIT. But the state governments of Orissa (BJD), Jharkhand (JMM/UPA) and Tripura (CPM), which were respondent to the case, requested a CBI inquiry. On 9 May 2014, the Supreme Court ordered CBI to investigate all Ponzi schemes, including Saradha, in Eastern India and transferred all investigations to CBI and also clarified the concurrent attachment and auction of the assets of suspected Ponzi companies to reimburse depositors at the end of the judicial proceedings. Mamata Banerjee had to concede after the Supreme Court ordered the federal agencies to take up the investigation. But she was staunchly vocal against all investigations by federal investigative agencies CBI, ED saying: "Since the election has come, you have sent the Enforcement Directorate, Chidambaram babu. I have heard that your wife's name is also there in the Saradha complaint. I have seen the FIR copy... Law will take its own course." The agents and depositors of several money-mobilizing funds in West Bengal organized themselves into the Chit Fund Sufferers Unity Forum (CFSUF) and demanded a swift investigation and the reimbursement of deposits. The Forum engaged in several, high-visibility, disruptive protests; but came under the wrath of TMC, the ruling political party. It was obvious. The Saradha Ponzi scheme survived for so long because of its heavy political patronage, mainly from TMC. Many prominent personalities were arrested for their involvement in the scam including two Member of Parliament - Kunal Ghosh and Srinjoy Bose, former West Bengal DGP, Rajat Mazumdar and Sports Minister of WB, Madan Mitra. MP Kunal Ghosh drew a salary of Rs. 16 Lakh per month from Saradha Group. MP Srinjoy Bose was directly involved with the group's media operations. Sports Minister Madan Mitra headed the employees' union of the group. Sudipto Sen, the group's CMD, reportedly bought paintings by Mamata Banerjee for a whopping 1.8 Crores, whose government also issued a notification that public libraries should buy and display Saradha Group newspapers. The group also bought the loss-making company Landmark Cement, which was co-owned by textiles minister Shyamapada Mukherjee. Politicians outside West Bengal also benefited from Saradha Group. Sudipto Sen said he paid 25 Crores to Manoranjana Sinh, wife of former Congress MP from Assam and Central Government Cabinet minister Matang Singh, 3 Crores to her father K. N. Gupta to buy shares in a television channel. Despite several arrests of top leaders, Mamata Banerjee and her party leaders refused to own up responsibility for the Saradha scam, stating that the group came into being in 2006 when the Left Front was in power in the state. That fact no one can deny. But, as per the SIT, Saradha's annual collections went up from Rs 15 million at inception to Rs 10.08 billion in 2011-12 and Rs 8.5 billion in 2012-13 when Mamata Banerjee was the chief minister. Initially, Mamata Banerjee had steadfastly defended her party MP, Kunal Ghosh, saying that 'he was only the CEO of Saradha's media group and that he should not be dragged into the case.' However, she wasted no time in suspending Ghosh when he told in a public event that he was being made a scapegoat in the case and it should be probed by the CBI. When Kunal Ghosh claimed to be in possession of some 'explosive' video clips and documents that were sure to 'nail' some 'very big' people. The SIT formed by the West Bengal govt arrested Kunal Ghosh in November 2013 soon after he posted the names of 12 people, who were ‘involved’, on his Facebook page. The list included names of four TMC MPs as well as Mamata Banerjee. Did Ghosh’s arrest become ‘necessary’ as he knew too many ‘uncomfortable details’? Surprisingly, neither Banerjee nor anyone from the TMC camp has ever countered Ghosh’s allegations. Interestingly, the SIT only filed first information reports against Sudipta Sen and Kunal Ghosh and arrested six small-time Saradha group officials. The SIT was only interested in hoodwinking the people. Their probe was a futile exercise, a farce. But when Mamata’s closest aide Madan Mitra was arrested by the CBI and reportedly had disclosed some 'big' names to the investigators hinting that the probe could knock at the West Bengal chief minister's door. Mitra’s arrest, quite expectedly, elicited the most vehement protests from the West Bengal chief minister. She not only made scathing remarks against the central government and the CBI but also led a rally in protest against Mitra’s arrest. Even then, Mamata Banerjee went out of her way to resist the central investigation team from ‘interfering’ so much so that in a bizarre set of events, West Bengal Law Minister Chandrima Bhattacharya, along with few other TMC leaders, were seen sitting in dharna at the CBI’s Kolkata office campus in protest. In 2014 itself the ED had alleged that West Bengal police did not cooperate with it and obstructed its investigation. The SIT also refused to cooperate with the ED and declined to hand over a diary (with a detailed list of deals) that Sudipta Sen kept mentioning during interrogation. The National Investigation Agency (NIA) and the CBI were also reportedly looking into allegations that TMC’s Rajya Sabha MP Ahmed Hassan Imran had sent Saradha funds to Jamaat-ul-Mujahideen modules whose existence came to the fore after a blast took place in a house at Khagragarh in Burdwan district. The investigators had summoned him for questioning soon after the blast. Imran was the co-founder of SIMI and became the president of its Bengal unit. In January 2019, the CBI had also filed a charge-sheet against Nalini Chidambaram, wife of P Chidambaram, accused of taking a bribe of Rs 1.4 crore in connection with Saradha Ponzi scam. This scam is basically a 'Left-TMC-Congress-Jihadi' joint venture. No wonder while the Left parties are maintaining radio silence, Congress President Rahul Gandhi and other scam-ridden parties are standing shoulder to shoulder, in solidarity with Mamata Banerjee, blatantly murdering the democracy in broad daylight. Keep looking out for the mainstream media’s response to this as well. Their entire job in this episode is restricted to project the CBI rogue, to pervade doubts in public mind, and mislead the nation. Let us see how the events unfold. Image Credits (Header): ANI News. All other images provided by the author, only for representational purposes. No copyright infringement intended.